The turn of the year is traditionally the time where people pledge to give up old bad habits. Clearly Frosty Wooldridge, a rabid nativist extremist, didn’t get the message. The column is the third installment in a series titled, “Impregnating America With Muslims: Onslaught on our Ethos, Language and Culture.” It also quoted heavily from an October 2014 sermon delivered by Rabbi Shalom Lewis of Congregation Etz Chaim, where Lewis called for a “holy crusade” against Muslim extremists. Wooldridge has a long history of anti-Muslim vitriol, and he is far from an isolated figure within the broader anti-immigrant movement. He is an advisory board member with the hate group Federation for American Immigration Reform (FAIR), founded by white nationalist John Tanton, the architect of the modern-day anti-immigrant movement. 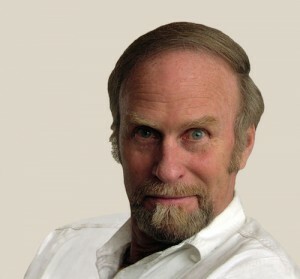 Wooldridge also worked as a “senior writing fellow” for the anti-immigrant group Californians for Population Stabilization (CAPS). Both FAIR and CAPS received funding from the Pioneer Fund, a foundation dedicated to funding the studies of race and intelligence, as well as eugenics, the "science" of breeding superior human beings that was discredited by various Nazi atrocities. Incidentally, the idea of Muslim immigration diluting western culture has long been a nativist fascination. As early as 2000, for example, FAIR attacked Sen. Spencer Abraham (R-Mich.), an Arab-American, for supporting more high-tech visas for immigrants. In radio and TV ads, FAIR claimed Abraham’s proposal could "make it easier for [Arab] terrorists like Osama bin Laden to export their way of terror to any street in America." But in reality, for Wooldridge and McAlpin, it is completely different.